Manufacturers constantly face pressure to continuously improve operational performance, avoid sudden breakdowns of machines on the shop floor, minimize production loss, and reduce operational costs. However, the biggest barrier to operational excellence is the non-uniform standards of machines and equipment which are being used on the shop floor. How can a supervisor monitor machine performance remotely? How to predict machine failure even before it breaks down? Is it possible to have all the information on a single canvas which a floor manager can access from anywhere, anytime? Our experts will also show how IoT can bring value to the shop floor and production line monitoring. Question 1: How are you able to use a Deep Learning model to determine which of the inputs caused a change in the prediction? I've read that this is incredibly difficult to do, since there are too many layers between inputs and predictions. Answer 1: It is not easy to track which inputs had an effect on the prediction in deep learning specifically because it has numerous non-linear layers between the input layer and output layer. However, by using other ML algorithms we can track the effect of a particular input on the output prediction. Question 2: What are the specific protocols and communication standards, by name, that are used by the sensors to communicate to the IoT Gateway? Answer 2: Sensors will not use any protocol. Sensors send analog/digital signal in the form of voltages. A PLC will read digital and analog inputs from various sensors, execute a user defined logic program, and write the resulting digital and analog output values to various output elements like hydraulic and pneumatic actuators, solenoid coils, indication lamps, etc. A PLC supports protocols and communications standards. Question 3: Modbus has been "customized" so much how do you handle this w/ all the different machines? Answer 3: Configuration of Modbus on different Modbus supported machines: Modbus uses RS-485 or RS-232. Modbus TCP uses Ethernet. You will need to pick the model that matches the electrical interface of the equipment you want to connect. When using a gateway to interface, a Modbus device to a non-Modbus network, you need to get documentation from the equipment manufacturer that describes the available registers and how to address them. Modbus protocol does not provide a means for registers to automatically identify themselves. Control solutions cannot determine this information for you. You must consult the equipment manufacturer or online document of Modbus supported device. Modbus requires you to know or define the baud rate, character format (8 bits no parity, etc. ), and slave ID (slave address, unit number, unit ID). A mismatch in any of these will result in no communication. Modbus TCP requires you to know or define IP addresses on the network. Question 4: How much historical data is needed for these models to function? Put another way, how long from when I start capturing the data to when it will be useful? Answer 4: Answer to this question may vary according to data scientist's views on the model so it can be said that there is no right answer to how much amount of data you will need. But you can take data approximately around 4-5 times more than the number of variable (feature) you have. Question 5: What are the common input sensors used in the Industrial IoT? Is there application for Audio or Voice? Temperature, thermistors, thermocouples, RTDs, vibration, gas, light, level, flow, current/voltage detector, rotary encoder, ultrasonic thickness gauge, and many more. There are many use cases of NLP and cognitive services that industries widely use. To know more about different types of sensors used in building a smart factory, click here. Question 6: Can you explain how you are managing security? Answer 6: We use the OAuth 2.0 authorization framework when communicating with third-party applications. On top of that, communications security is ensured by SSL and TLS protocols. Question 7: As an interim solution, can data streams be split between local MES systems as well as to the cloud via a Gateway? Answer 7: Yes, we can do it. But we would need to customize the SDK. Question 8: Do we need to modernize old system/machines to new one to have such a solution? Answer 8: You don’t need to update your machines as we can always work with legacy machines by adding smart connectors or smart I/O devices. Furthermore, if machines are too old to support any third-party connectors or I/O devices, then we can use external sensors to acquire data. Question 9: Can I monitor important KPIs and have analytics on the existing system. I am using SAP. Answer 9: Yes, our Smart Factory Solution provides external connectivity to popular enterprise applications, e.g., SAP, SharePoint, JD Edwards EnterpriseOne, and so on. So you can always take the intelligence generated by Smart Factory solution and connect back to your existing ecosystem. Question 10: I don’t want to take my machine data out of my infrastructure. Do you provide any in-house database option instead of the cloud? Answer 10: Based on our experience, we see cloud is more stable and reliable option compare to on-premises database setup at the shop floor level. Also, there are many benefits such as the scalability, data security, performance, big data support, fast data processing, stream analytics and redundant data archiving when it comes to the cloud. Taking all these consideration, we provide our solution with the cloud option. However, we do support a smart gateway setup wherein we can have data stored in local gateways and then push to the cloud. So there is always an option to have local data backup if need be. Question 11: Does this solution require making any changes in the production processes? Answer 11: This solution is more in line with production line monitoring and does not require any changes in the existing production process. If you require any re-engineering of machine process, then it will be considered as a separate automation project and we can definitely provide you support for the same. Question 12: We are not sure about IoT implementation in our organization and need more information. 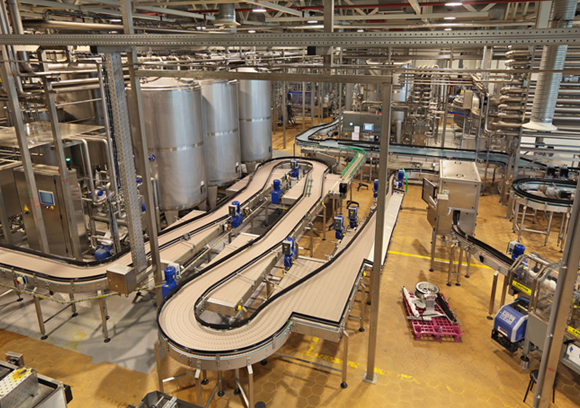 Can you arrange a small workshop to demonstrate the capability of a smart factory solution? Answer 12: Yes. We can arrange a workshop and consult you further to get started with IoT. To know more about our consulting program, click here.